Is your team dominant, inspiring, cautious or supportive? These personality traits will be discussed by Mora Kanim of Coaching C.L.O.U.T. 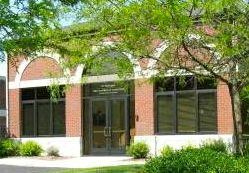 at “Working with the DISC Self Assessment Tool” at the May 21 Lunch and Learn program, set for 11:30 to 1 p.m. at the Howell Area Chamber of Commerce Foundation building, 123 E. Washington St. in Howell. Attendees will receive practical and immediate applicable training in communication, leadership, observation, understanding and teamwork. Kanim is recognized nationally as a leading consultant in effective communication, workgroup motivation, team building, mental strength training and conflict resolution. She has an extensive background in sports psychology, human behavior and more than 20 years experience as a Division 1 athlete and coach. Lunch & Learn is a program of the Howell Area Chamber of Commerce Foundation. Cost to attend is $20 and includes lunch and program materials. Register online at howell.org or call the Howell chamber at 517.546.3920.